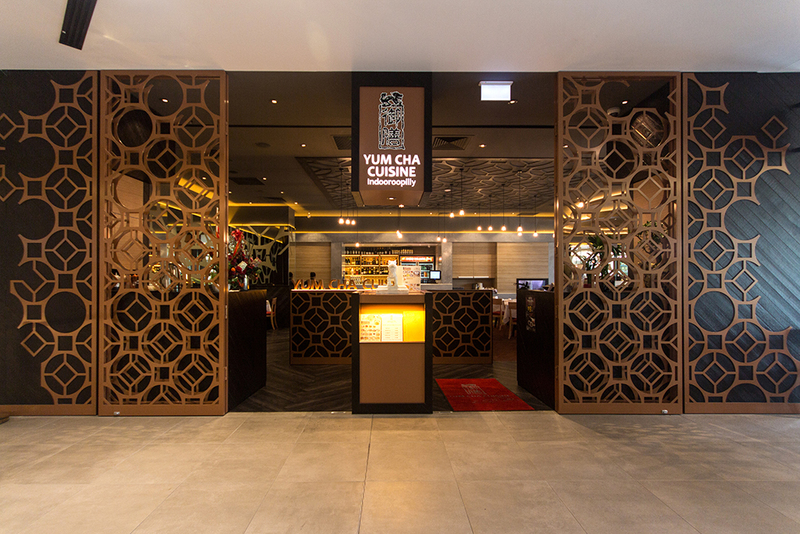 Yum Cha Cuisine is a premium Yum Cha restaurant with several restaurants by the same client already operating in Queensland. 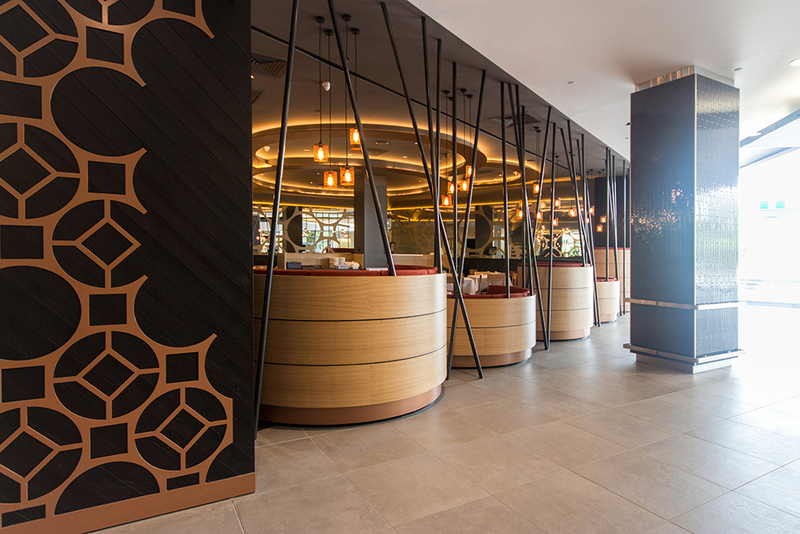 The client wanted a new look for this restaurant that would be a flagship to their high quality food offering and also a destination in the new Indooroopilly Shopping Centre Fresh Food extension. The design incorporates a unique pattern design that is repeated in a custom metal screen on the shopfront, ceiling feature, low height wall in the entrance and copper glazing film. 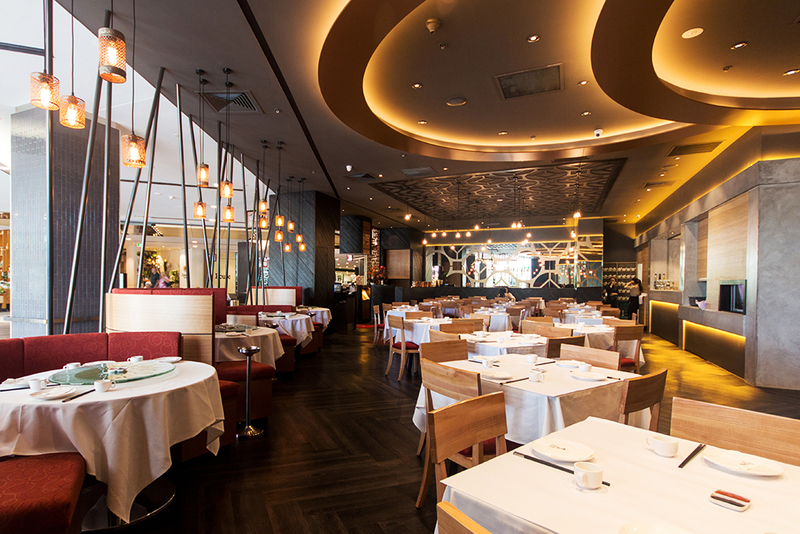 Bamboo steam baskets inspired the joinery design of the banquette seating, ceiling features and pattern design. Black dowel along the shopfront provides a reference to chopsticks whist providing privacy to the dinners and still maintaining transparency into the restaurant from the shopping mall. Materials are simple, modern and raw with old style large scale parquetry flooring, concrete bar and joinery to the back of the restaurant and oak timber finishes to represent the natural colour of the bamboo steam baskets. Recycled timber and copper on the shopfront provide warmth and character and this is incorporated into the custom designed signage. 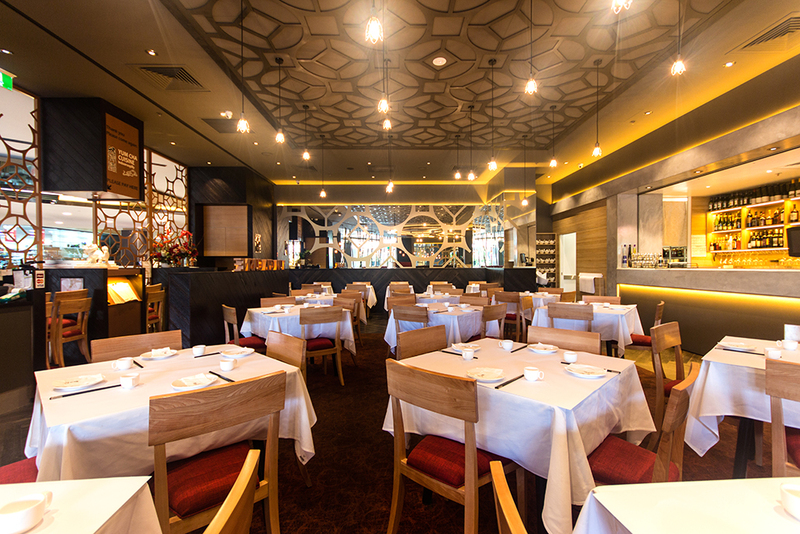 A large commercial kitchen was designed to support the clients expensive Yum Cha style menu with a separate kitchen for Dim Sum. 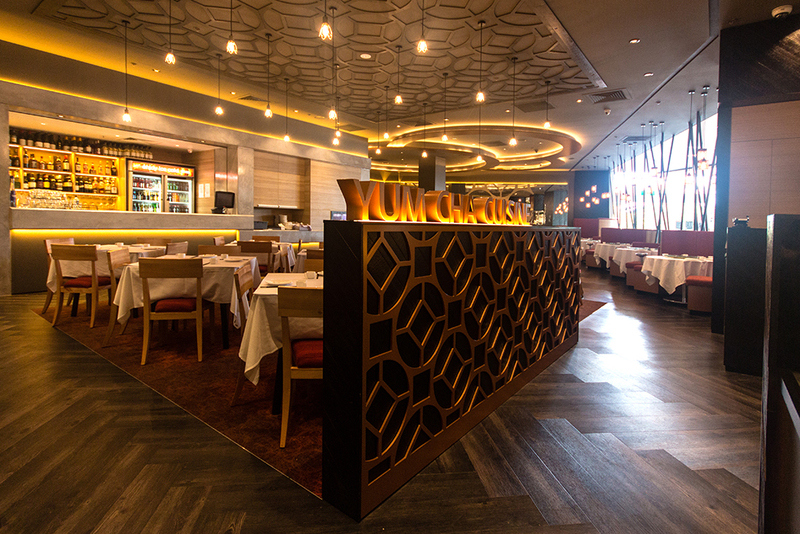 We worked closely with hospitality specialists One Alliance Project Consulting who sourced the best equipment and worked with the client to ensure the best possible outcome for the project.